This close-up detail of a female Cecropia moth's wing (Hyalophora cecropia) is a high magnification shot (5x lifesize in camera), showing the colorful scales on the edge of the "eye" on its wing. 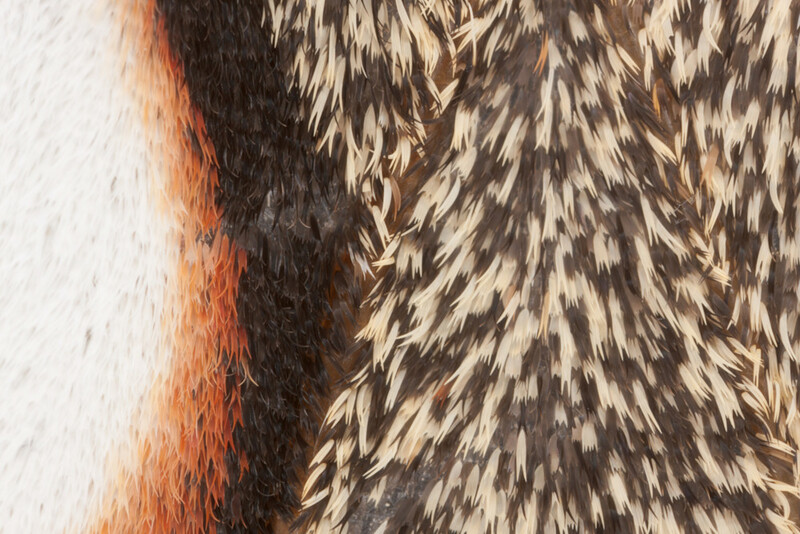 Close-up detail of a Female Cecropia moth's (Hyalophora cecropia) wing. The image is a high magnification shot (5x lifesize in camera), showing the colorful scales on the edge of the "eye" on it's wing.